Facebook CEO Mark Zuckerberg and his wife, Priscilla Chan, have a lot of great news to share today. On Zuckerberg's Facebook page, the couple announced the arrival of their newborn baby girl, Max. 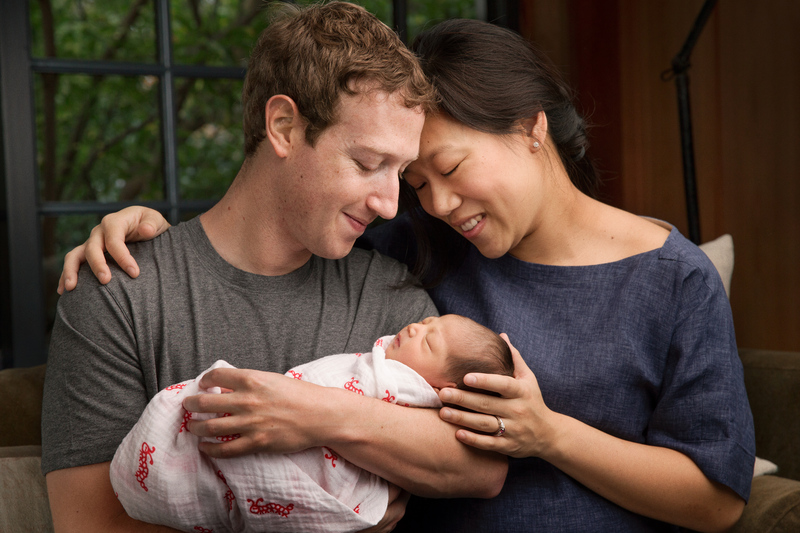 "Priscilla and I are so happy to welcome our daughter Max into this world," Zuckerberg wrote. In honor of their daughter's birth, the couple pledged to donate 99 percent of their Facebook shares over the course of their lifetime to the Chan Zuckerberg Initiative, which describes its mission as advancing human potential and promoting equality in areas such as health, education, scientific research, and energy. "For your generation to live in a better world, there is so much more our generation can do," they wrote. No further details of the donation were provided, but the couple wrote that they would share more information in the coming months "once we settle into our new family rhythm and return from our maternity and paternity leaves." The massive donation would still leave Zuckerberg -- who is currently #7 on Forbes' list of richest Americans -- with hundreds of millions of dollars in personal wealth. Like all parents, we want you to grow up in a world better than ours today.While headlines often focus on what's wrong, in many ways the world is getting better. Health is improving. Poverty is shrinking. Knowledge is growing. People are connecting. Technological progress in every field means your life should be dramatically better than ours today. Below is Zuckerberg's full post, including to his letter to Max.